KASK (Kiwi Association of Sea Kayakers Inc.) was established in 1992 as a national association for sea kayaking in New Zealand.  KASK is the national association for sea kayaking for New Zealand. You can join here. Full member benefits outlined here.  If you are not quite ready to join as a full KASK member, you can subscribe to our monthly eNewsletter here. You dont need to be a member to get the free eNewsletter. Subscribe now!  You can contact the KASK team, management committee, president and the sponsor through this form here.  If you are a sea kayaker or if you are into any paddlesport, you need the KASK app that works both on the computer and your smartphone. The KASK app is currently in beta. If you want to be one of the first to try it, please click here.  If you represent / belong to a sea kayaking club and want to know more about being KASK affiliated, click here. KASK was initially set up to promote and encourage the sport of sea kayaking, promote safety standards, develop techniques and equipment, deal with issues of coastal access and protection, organize an annual sea kayaking forum and publish the New Zealand Sea Kayaker Newsletter. 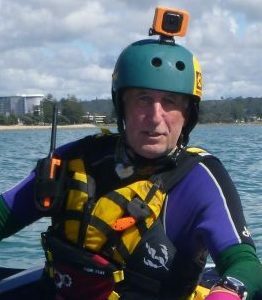 The Sea Canoeist Newsletter was initiated by Graham Egarr in 1988, and he also organized the first national Sea Kayak Forum in 1989 at Mapua, near Nelson. After Graham’s death in 1991, the newsletter editorship passed on to Paul Caffyn. It has now been renamed as the New Zealand Sea Kayaker magazine and is a full colour magazine produced 6 times a year in print and electronic format. Kiwi Association of Sea Kayakers Inc. NZ (KASK) is one of twenty-three members of the New Zealand Safer Boating Forum. The purpose of the Forum is to work together to develop and implement a common agreed boating safety policy, communications, education, compliance and regulation. The safer boating strategy and the relationship that exists between organisations, enables KASK to engage at a paddler level. It also represents the association, networks, clubs and groups on the national platform. KASK is a member of Water Safety NZ (WSNZ). Water safety NZ is an incorporated society with charitable status that contributes to strategy and promotion of water safety to our paddle sports community. 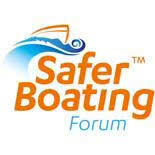 WSNZ is also a member of the Safer Boating Forum mentioned above. KASK achieves these objectives through the committee members, clubs and networks, organising events such as Kayak Fest. It also educates through local events and printed and online content. This includes the bi-monthly magazine (The Sea Kayaker) and the Sea Kayaking Handbook (now incorporated into the app too). Kiwi Association of Sea Kayakers is a Not for Profit ‘Incorporated Society’. It has an elected committee, a President and a constitution.